How do you take a boring boxed cake mix and make it into something special? 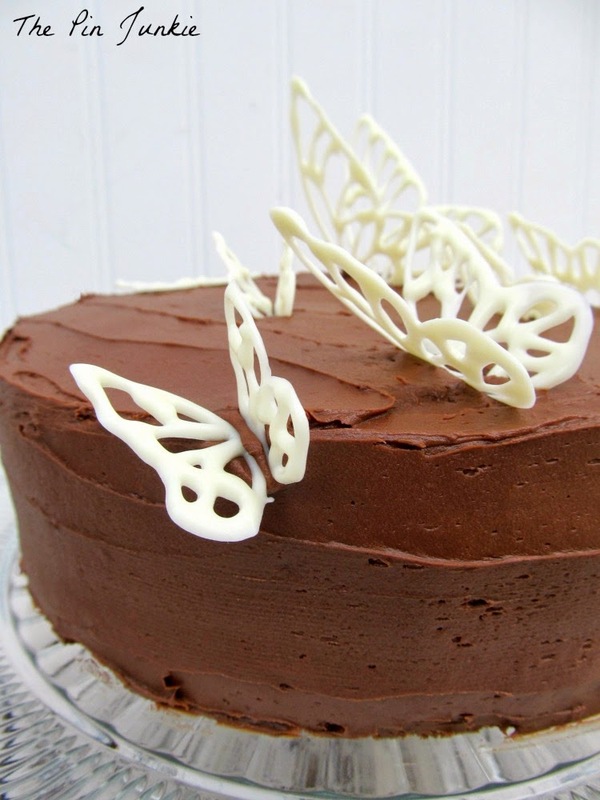 Add some chocolate butterflies! I made a chocolate cake with a box of cake mix and store bought frosting. I wanted to add something to make it look special and I remembered this pin for making chocolate butterflies I'd seen on Pinterest. I quickly found some clip art online, copied and pasted it into a Word document, and changed the size to make small, medium, and large images. I printed two copies and placed waxed paper on top. I melted some white chocolate and spooned the melted chocolate into a piping bag. 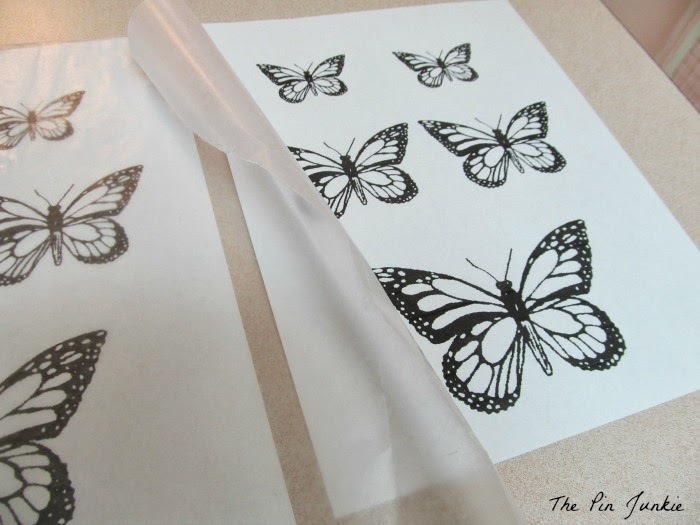 Then I just traced the butterflies with the chocolate. You can tell I didn't worry too much about tracing every line or making perfect butterflies. I carefully placed the wax paper on a cookie sheet to make it easier to move in and out of the freezer. I left the chocolate butterflies in the freezer for about ten minutes to harden. 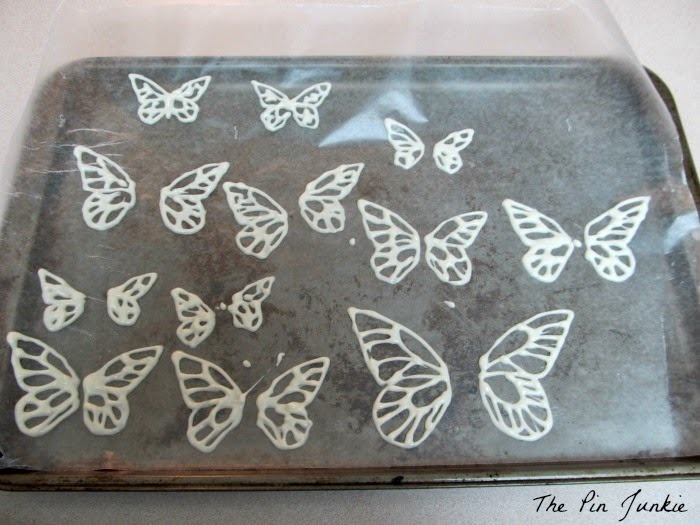 When the cookie sheet comes out of the freezer, gently remove the butterflies from the waxed paper and place them on the cake. Some of the butterflies were one piece and they laid flat. Some butterflies I made in two pieces and I placed them so that the wings stuck up on the cake. This technique would work for any kind of design, not just butterflies. You could make other shapes, designs, or even letters. Is it just me, or do those butterflies look like they're flying around in a glass terrarium? It reminds me of this butterfly project. I know I'm not supposed to call attention to the background in the picture, but I'm going to anyway because I just love how my new backdrop did in it's first photo shoot! I love that rustic and cracked paint finish! You can find the directions for making DIY wood photo backgrounds here. 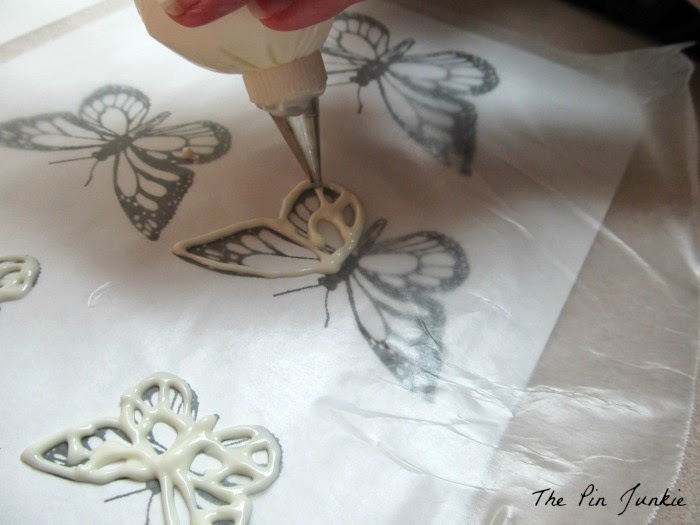 Inspired by these pins for chocolate molding technique and chocolate butterflies. Love this! The butterfly design looks really pretty and perfect for Spring! What a great idea for Mother's Day! I think this technique would work for all kinds of shapes, designs, or even letters for monograms! I'll definitely have to try it again. Amazing butterflis!! !thanks for sharing a tutorial! My daughter who loves to decorate cakes is going to go crazy for these butterflys... thanks so much for bringing them by foodie friday. You are so creative! 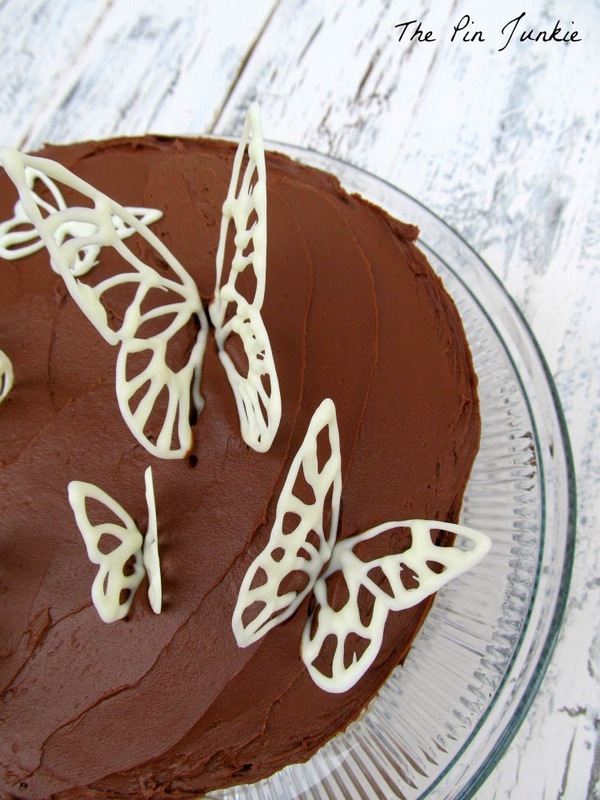 I love how you used white chocolate for the butterflies! I am the cake maker in the family for all birthdays, including my own. I think this will be my cake this year. Super pretty, pinned ya! Hugs from Bacon Time. These are lovely, great upgrade to a simple cake. Do you have a problem with the chocolate solidifying in the piping bag as you pipe? I always do whenever I try to pipe chocolate, maybe I'm just not being quick enough! Oh and your backdrop is lovely btw! Yes, I did have that problem with this project (http://www.thepinjunkie.com/2014/01/chocolate-covered-strawberry-roses.html) but for some reason I didn't have any problems with the chocolate while making the butterflies. 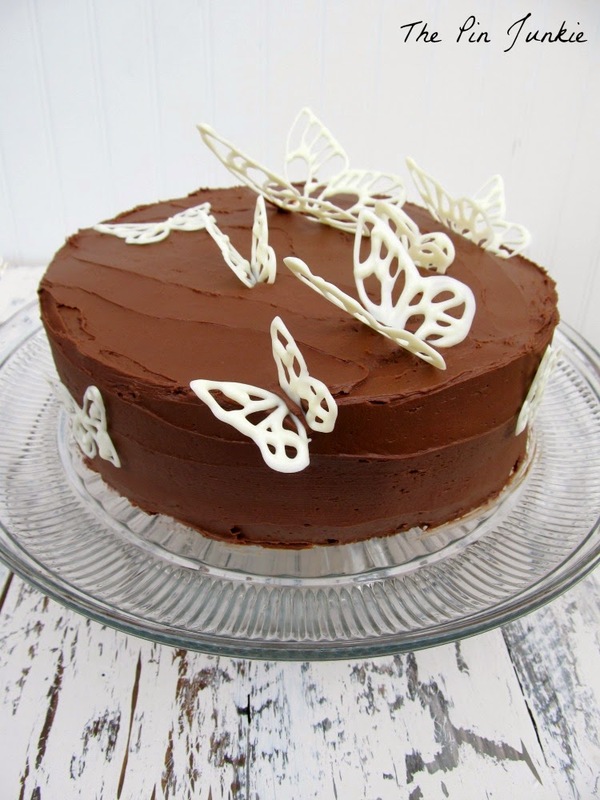 love love the butterflies, this cake almost looks to good to eat..almost! :-) Checking this out from Making Monday! How gorgeous! And, you actually made it look doable!! Yummy!!!!!!!!!!!!!!!!!!!! !I want to eat it now!!!! !And I'm on a diet!!! Looks very nice. (seen it on Do Tell Tuesday link party). I love how you made the butterflies! They look beautiful! Cute Cake! I have taken a cake decorating class & we made the hearts (like the butterflies). Hearts would be so pretty! I may have to try that for Valentine's day! I adore these butterflies! I'm just learning decorating techniques. I can't wait to try this one! Glad I found you on Tempting Tuesday. I did this once but I don't think it worked. Sooooo, I love these butterflies so much! I just started learning to decorate so I can't wait to try this! Glad I found you on Tempting Tuesday! Wow that's awesome! You make it sound very doable too which is nice... Cake decorating always looks so complicated to me. I love it! xoxoI am going to have to try it, though it may be too warm here. This cake is so beautiful! I love the butterflies and how you made them, something I'd love to try! Thanks so much for sharing on Inspire Me Wednesday. Featuring you in next week's issue. G'day! Absolutely adorable! I have tried the butterflies but some teething problems! Yours looks great! 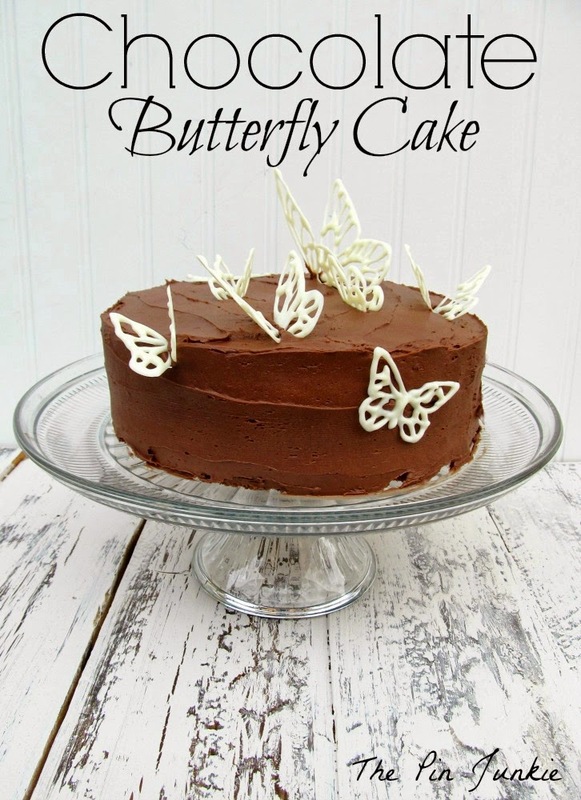 What an elegant cake with the white chocolate butterflies, sheer perfection! 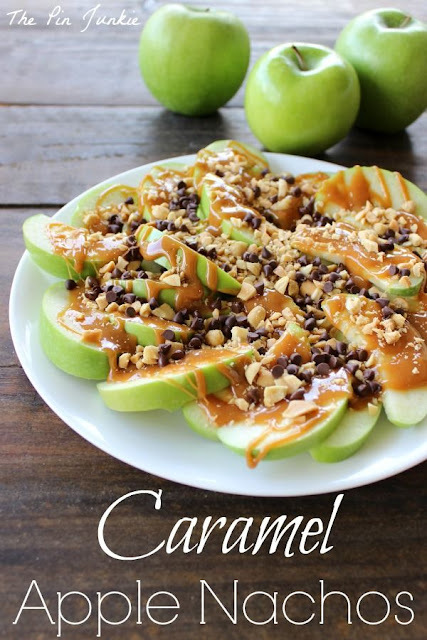 I cannot wait to try this! I would have looked at the picture and just thought it too hard to do...but you made it look really easy and doable. Now I am going to give it a try. Thanks for posting on the Thursday Blog Hop! I just discovered you through the weekend retreat link party. This is absolutely gorgeous. What a great idea! Love how it turned out. Thank you for sharing! That's a super idea. Except I would have eaten the butterflies. Sad, but true. Thank you for letting me admire yours! 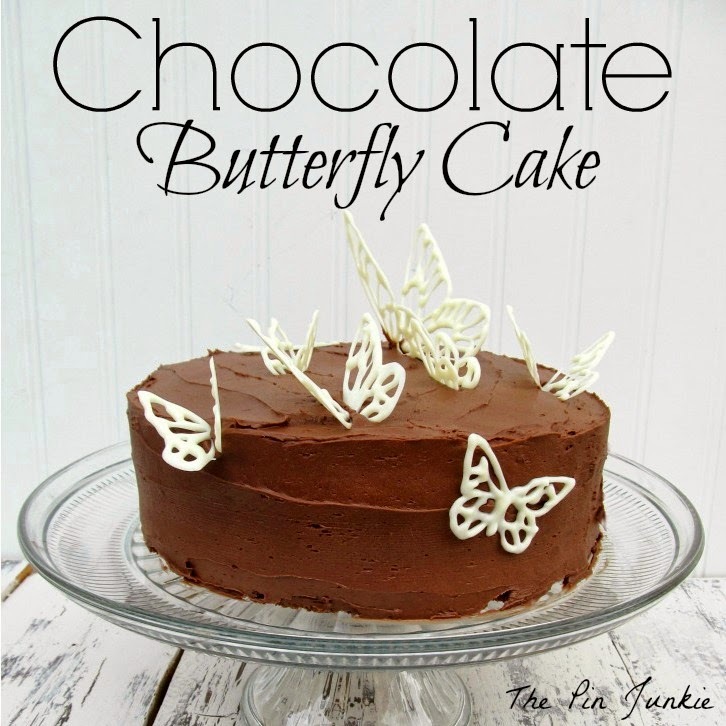 Oh my goodness that's the most beautiful cake ...gorgeous butterflies! Love love love it! You did such a nice job on the butterflies Bonnie! I could see using them for so many different things. You are today's Dare to Share Feature of the Day. Thank you so much for linking up! Thanks Pam! I had a lot of fun making the butterflies and can't wait to try this technique again with other designs. This is beautiful and I can't wait to try my hand at this. 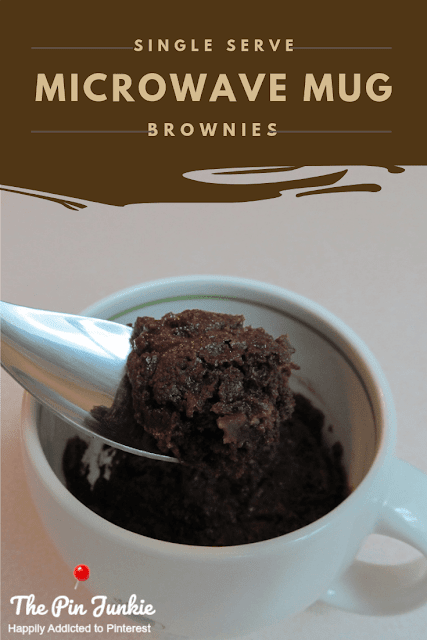 Wanted to let you know I'm featuring you as my chocolate feature of the week when this week's link party opens up tonight. This is a great idea! Your cake came out beautiful. 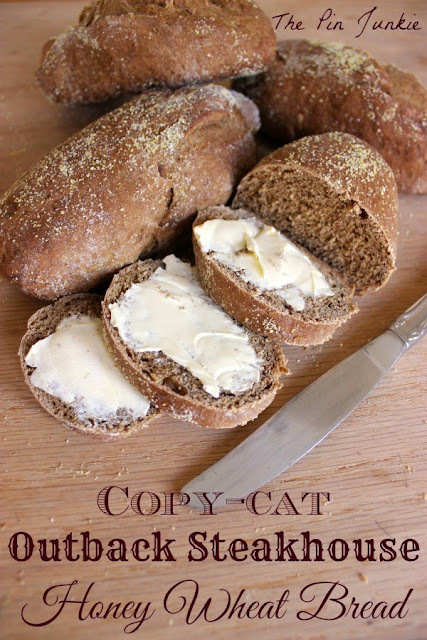 I just wanted to let you know that I am linking to this post at Simply Creative Living on 4/10 if you don't mind. I found you at Handy Man Crafty Woman, and I love your butterflies. I can't wait to try it. I have a friend who is something of a butterfly nut, so I'll do it for her birthday! Thank you so much for joining in with the Say G'Day Saturday linky party! 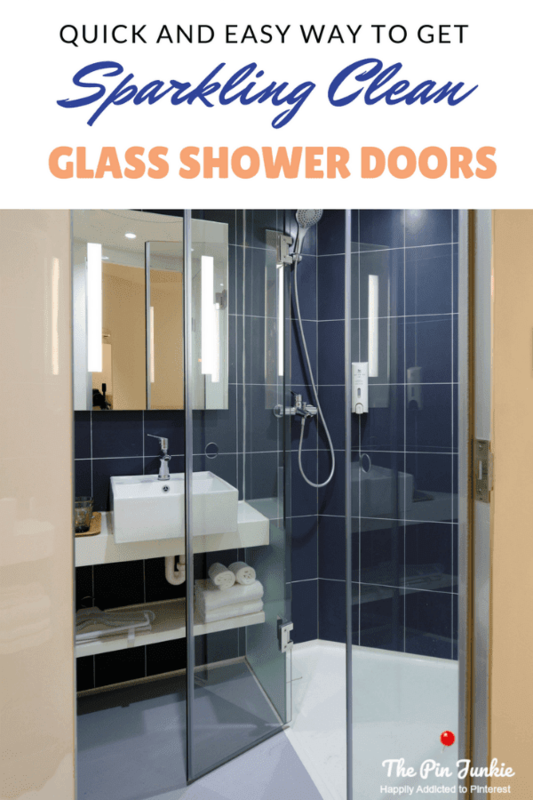 I've just shared this gorgeous post on Google+, twitter and Pinterest. That cake is magnificent! Love Love Love your cake! So pretty and delicate! 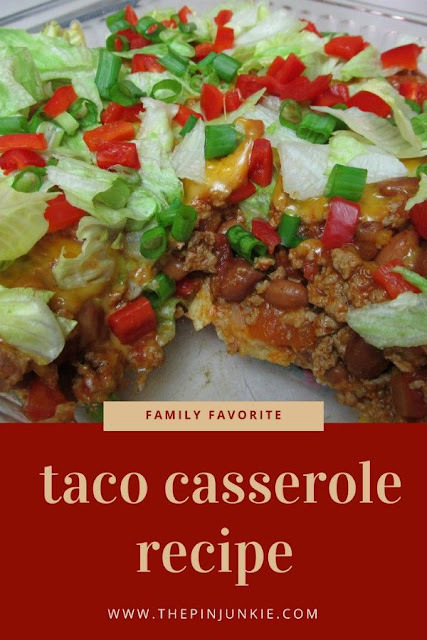 Thank you so much for linking up to "The Yuck Stops Here" link party. We start the party every Monday night at 8:00 pm, and we would love to see you next week! Thanks so much for sharing your project on our #PARABlogCrew link party. Lovely cake! Hey Bonnie! I LOVE this cake. 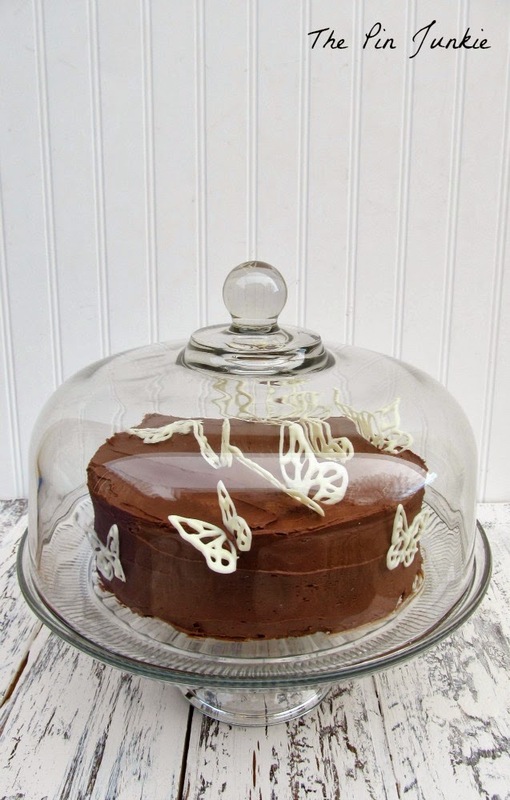 Just wanted to stop by and let you know I will be featuring your cake tomorrow at the Frugal Crafty Home Blog Hop. Make sure to stop by and grab your featured button and link up any posts you may have. Thanks for sharing! Beautiful!!! I'm going to save this idea for later. Thanks for linking up at Take it on Tuesday! My son is studying butterflies in class. He is going to love these! How lovely - This is so clever and unique! a must try! So adorable! All the things that a printer is good in the kitchen! LOL! I love the cake and it looks delicious! Thanks for sharing with Countdown in Style.